If the Town Council follows through with the Budget Committee’s threat to end trash pickup in Tiverton (or charge extra for it), it will be because elected officials and their supporters want to teach taxpayers not to attempt to control their taxes. But the real lesson will be that we must be more careful about whom we elect to office. On May 30, I published a document detailing $1.7 million in potential budget adjustments, from which the committee would have to choose just $782,895, without affecting trash pickup or road paving. On June 3, Town Administrator Matthew Wojcik contributed a list of “budget concepts and considerations” totaling $918,000 — $437,535 after removing anything affecting trash pickup or duplicating my suggestions. Notably, Mr. Wojcik’s analysis found no way that changing trash pickup could save more than $200,000–300,000. At their June 9 meeting, although trash was on lists distributed by members Cecil Leonard and Louise Durfee, the committee was 84% of the way to a solution without touching trash pickup. In fact, the committee came up with an additional $116,580 that neither my list nor the administrator’s had included, bringing the total non-trash, non-paving options to $2.3 million. On June 14, rather than find less than $150,000 more to finish their job — which could easily have been accomplished through a list of possibilities that member Nancy Driggs provided — the Budget Committee voted to reverse course, going so far as to assume that eliminating trash pickup would save $500,000, well beyond the administrator’s estimate. The fix was in, and Durfee told Ms. Driggs it wasn’t worth going through her list because it “won’t win the day.” The committee held no public hearing and voted on the change to trash within minutes of Saurette’s first description. 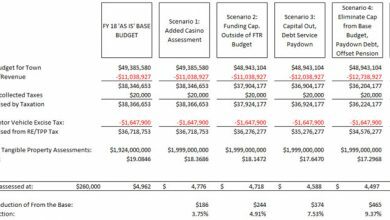 Any budget decisions causing real harm and inconvenience to the people of Tiverton will not be the result of the FTR vote. They will be a result of the anger and frustration of people who think they are entitled to whatever tax money they say they need — people whom we should not trust with public office ever again. 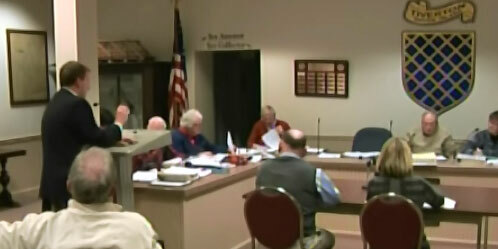 Can Taxpayers Trust This Town Council?